Artists explore visible environments, imagine unseen worlds, push the limits of media, and delve inside themselves to reveal new perspectives and to question the commonplace. In this spirit of probing analysis, the Art of Inquiry: Juried Exhibition showcases original works of art by many of the most talented artists of the Gainesville regional community. Established and emerging artists who reside in or have close ties to the Gainesville region were eligible to submit entries for consideration in the exhibition. Of the 378 works of art submitted, 52 were selected to be a part of the exhibition by jurors Matthew McLendon, J. Sanford Miller Family Director of The Fralin Museum of Art at the University of Virginia, and Jaime DeSimone, Associate Curator of Contemporary Art at the Portland Museum of Art. The works represent a wide range of mediums including painting, sculpture, drawing, printmaking, photography, ceramics, fiber arts and mixed media. Our jurors’ selections demonstrate the great range and excellence of the arts being produced in our community. This exhibition is sponsored by Dr. Midge Smith and Mr. Carl Wisler. Additional support is provided by Mark and Mary Barrow, Caleb J. King, Marc A. Gale, a group of local art supporters, the Harn Program Endowment, and the Harn Annual Fund. 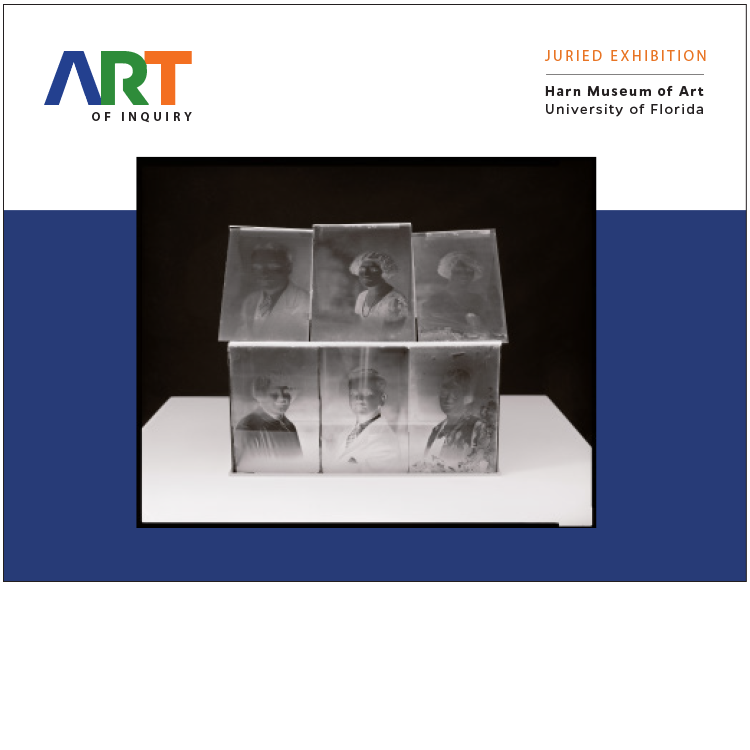 Explore the work and view statements by Gainesville regional artists selected to participate in Art of Inquiry.